One of the rare times when pedestrians are allowed on the San Diego-Coronado Bay Bridge is Sunday with an event to raise funds for Navy morale, recreation and welfare programs. The 31st annual Bay Bridge Run/Walk kicked off at 8 a.m. at the Hilton San Diego Bayfront in downtown. The runners took off first, followed by the walkers. 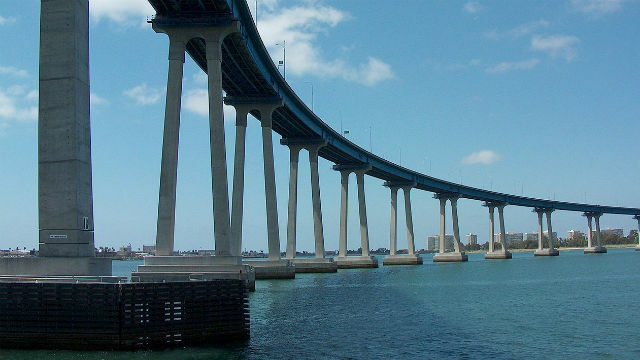 The route took participants across the bridge, which offers sweeping views of San Diego Bay and the Pacific Ocean, Coronado, Point Loma and downtown. The four-mile route finished at Tidelands Park in Coronado, where free shuttles transported walkers back to the hotel. The event also included a T- shirt giveaway, an expo and live music, according to organizers.